Galaxy Note 2 is a very revolutionary smartphone and it was already sold to more than 3 million people. Being available world-wide for not such a long time, there haven’t been so many issues reported. You can check out these common Galaxy Note 2 issues though. Meanwhile, I recently found that some Galaxy Note 2 devices have a problem with file transfers on their SD card. More precisely, I’m talking about copying files larger than 4 GB on the SD card of the Galaxy Note 2. The message that is prompted is “Cannot copy file” “Its file size is larger than the device limit”. Copy the files on the internal storage and then move them on the SD card. Try formatting the SD card first. Don’t use FAT32 format because that has a 4GB restriction for file transfers. 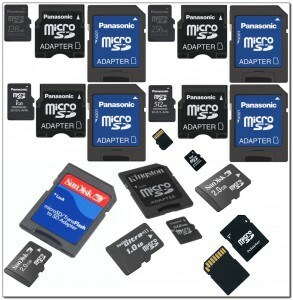 Make sure that the SD card is compatible with your Galaxy Note 2. Use only quality cards if the storage is over 8 GB. Copy the files on the SD card using a card-reader. Some users also reported that if you root your Galaxy Note 2 (How to root Galaxy Note 2) then the problem is solved. But this may not be a general solution, knowing also that rooting is not 100% safe for any device and also makes it lose warranty.